The back-to-school hordes may have to vamoose by autumn, but for the rest of us, September holidays can be perfect. As the world at large sharpen their pencils, us free-spirits pick up where the masses have left off, taking advantage of recently vacated beaches, bars and hillside retreats the world over. September is prime time for travelling, not only for the lack of crowds and lower prices but also because of that subtle shift in energy that heralds the start of a new season in so many of our favourite places. September is on the cusp of summer and autumn. Days become milder, leaves turn yellow and nights begin to crisp and cool. Meanwhile, the summer heat eases off, letting greenery blossom while the sea remains toasty warm. Unless, of course, you travel south of the equator, in which case your September holiday will be on the cusp of winter and spring, with new life bursting out and temperatures gently warming up. Win win. September is shoulder season in Texas and a great time to visit this captivating state. The intense humidity of summer gives way to warm days and cool nights that are perfect for hiking and horse-riding on the open plains – a highlight of our Texan cattle ranch stay. Meanwhile in the Deep South, the glare of summer heat dissipates, making your bar crawl through the blues joints of Beale Street, Memphis, that much sweeter. Later on in the season, you’ll see both regions light up in a cacophony of fall colours; the perfect backdrop to a Deep South grill. All hail the pastel-coloured beauty of Sicily, which take on an added veneer of charm on a September holiday. The piazzas are still warm enough to knock back aperitivo in but the crowds have thinned, meaning you can weave your way around the more popular towns (Noto and Taormina) with ease. And let’s not forget the water has had all summer to warm up, so an al fresco dip – whether in the sea or the rock pools of the Alcantara Gorges – will feel positively balmy. September falls into Peru’s winter season, creating dry weather with blazing blue skies and crisp mornings in the Peruvian Andes. It’s a wonderful time to tackle the star draw of our trip: a six kilometre high-altitude trek to the summit of Rainbow Mountain. With clear days and cooler temperatures, the climate is also ripe for our mountain bike ride through the Inca valleys. Meanwhile over in the capital Lima, the full-on heat of summer (December to March) is still a few months off, allowing you to enjoy those Pisco Sours in peace. 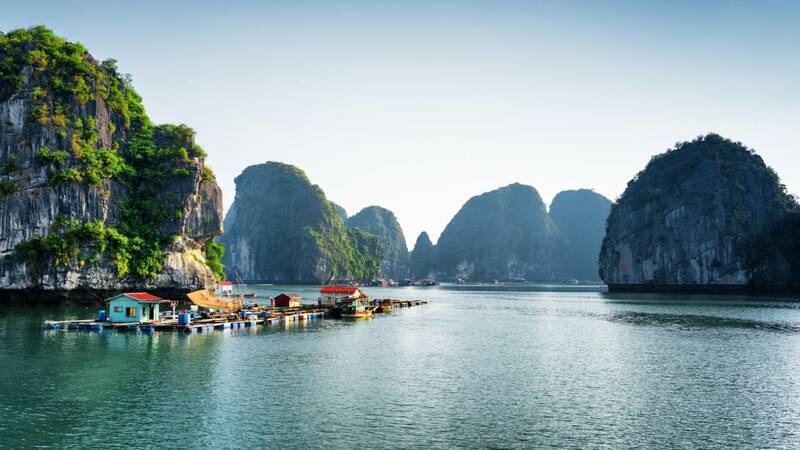 Say hi to the delights of Vietnam and Cambodia for September holiday and you won’t regret it. In the north, you can enjoy Hanoi as it dips below the 30°C mark, but the summer rains will have eased a little. Cool, clear days make for lovely hiking in the emerald hillsides of Sapa, while Halong Bay is warm and misty. Moving down south to Ho Chi Minh and into Cambodia, monsoon season is still in full swing – but don’t let this put you off. There’s a definite romance to the brief tropical downpours that hit during the afternoons, with the rain clattering off tin roofs and steaming the alleyways. And the blazing sunshine either side will guarantee your Vitamin D fix, with fewer crowds around Angkor to boot. Morocco promises a trove of delights whatever time of year you visit, but September is a particular highlight. 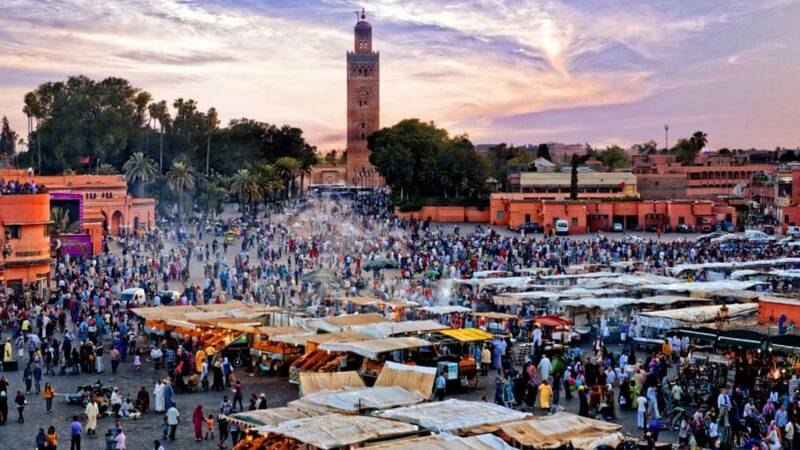 The summer hordes who’ve gravitated to Marrakech and Essaouira thin out significantly, leaving you elbow room in the bazaars and on the beaches (even Djemaa el Fna square feels a smidgen less crowded). The days are still warm and sunny, and the Atlas foothills are alive with greenery, for an optimal backdrop to hiking. Over in the desert, the winter chill has yet to kick in, so you can glamp under the stars to your heart’s content. By September, the heat and humidity of high summer has eased, along with the surge of summer crowds. This is a gorgeous month to visit the Land of the Rising Sun, with clear mellow days and little rainfall conspiring to create prime conditions in which to explore Japan’s rich forest and mountain stretches. Although the vivid blaze of autumn colours in Japan reach their peak in October and November, you will start to catch glimpses of orange here and there on September holiday. Keep an eye out as you boat down the Hozugawa river and hike through the giant trees and waterfalls of the Old Hakone trail.